2018 will mark Liz’s third year as a triathlete. While she considers herself a rookie, she is dedicated to her training and works hard to get better year after year. She grew up swimming on a swim team as a kid, so swimming comes easy to her and she’s always liked running but biking is her weakness. This year she is driven to make biking her best friend because she knows that is the weak part of her race. She has no trouble admitting that she is usually top 10 out of the water and then one of the last people to finish on the bike. Outside of her triathlon life, she is a public relations professional and loves hanging with her family in Sacramento. 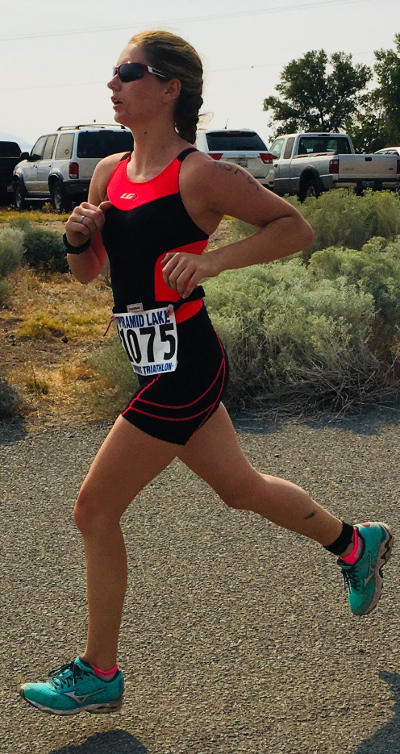 Her goals this year include finishing her first Half Ironman in Santa Rosa at the end of July and becoming stronger on the bike.